"God moves in a mysterious way," as the 18th Century composer William Cowper once wrote. What Cowper understood is that mere mortals cannot possibly comprehend the whims of the Almighty. What arrogant fools we would be to even attempt it. What vanity of vanities. In very much the same way, it's hard to ever say for sure what's going on in Liam Gallagher's head. Since Beady Eye ended in a whimper on 25 October 2014, he's been at something of a loose end, aside from stacking shelves at Pretty Green and stealing Roger Daltrey's thunder on TFI Friday. Does this mean a LG solo album is in the works? 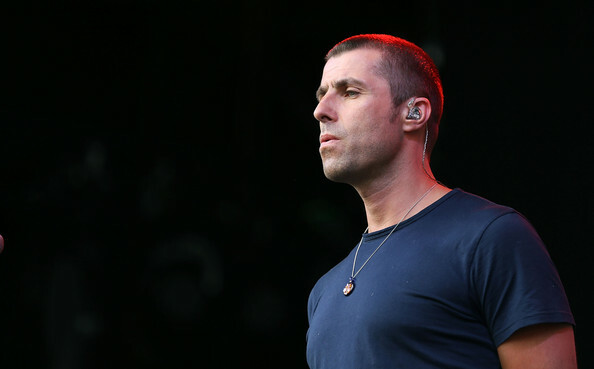 There have been rumours in the all year that Liam may be at work on a solo album, although tabloid stories that he's been writing with Lee Mavers of The La's have since been denied by his spokespeople. Still, the inclusion of the line referencing "chasing yesterday" strongly suggests that this song was written recently - so he's definitely been writing something. Almost all of the lyrics in Liam's new song appear to have a self-referential angle. Most interestingly, the line about "chasing yesterday" appears to be an obvious reference to his brother Noel's most recent album of that name, although in context the line: "When I wake up and I hear you say, there's no love worth chasing yesterday" could be read as a response to the near-constant rumours and questions about a potential Oasis reunion. Alternatively, it could be read as a dig towards his big brother, suggesting he feels abandoned by Noel's pursuit of his solo career. Elsewhere, the line: "Yes I know, I've been wrong, Didn't do what I was told" sounds like a reference to his recent marital strife, while "I ain't looking for no 9-5, sick of wasting all my precious time" appears to reference his current band-less status. It's certainly a more melancholy side of Liam than we're used to seeing, but one which seems to suit him. Has he discovered a love of playing guitar? It's very rare for Liam to play guitar live (the less said about 'Songbird' the better). But in the comfort of an Irish pub he seems confident and comfortable accompanying himself. After years of sitting at the back of videos during guitar solos, occasionally shaking a tambourine, the idea that Liam could beat Noel to releasing a solo acoustic album is an intriguing one. Towards the end of Beady Eye's short life, serious questions were being asked about whether Liam's vocals were still up to scratch. Yet here, perhaps helped by the more relaxed setting, his voice sounds better than it has in a long while. He even hits the high notes, something he avoided doing even early in Oasis' career, forcing them to ditch certain songs if they had notes Liam couldn't reach. It's no coincidence that Liam appears so at home in the pub in Charlestown, County Mayo. The Gallagher brothers' mother, Peggy Sweeney, is a Charlestown native and the boys often spent their childhood summers in the area. As well as playing in the pub, Liam has also used his recent visit to lend his support to the 'Mayo for Sam' campaign supporting the local Gaelic football team in their quest to win the Sam Maguire Cup. During his recent appearance on Desert Island Discs, brother Noel also spoke of his love of Mayo, saying that as a child his happiest days were the six weeks each year he spent in Charlestown. Perhaps after all the feuding, it's a return to the site of their old family holidays which might heal their rift. Chasing yesterday, indeed.